Most horse people know that buying a horse at the monthly auction at your local fairgrounds is a risky proposition. At the same time, many types of premium horse sales, such as sporthorse import auctions and major breed show sales, enjoy an excellent reputation as a good source for quality horses. The sale programs are filled with extensive descriptions, pedigrees, show records and photographs, and potential bidders are often able to inspect and ride the horse prior to the sale. Many of these premium auctions advertise that they have prescreened the horses for health and soundness, and some even offer vet check results and X-rays for examination prior to the sale. Often, the auction companies are members of the Better Business Bureau and have a long-standing business reputation. As a result, buyers feel like they can bid with confidence. 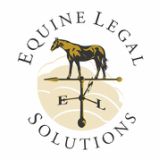 Every year, Equine Legal Solutions receives a number of inquiries from unhappy buyers who have purchased horses at premium auctions. Typically, these are not simple cases of buyers’ remorse – these folks purchased expensive horses that they thought were sound and healthy, but the horses turned out to have serious problems. For example, one horse purchased at a premium sporthorse import auction came up lame the following week and a veterinary examination revealed that he had two fractured navicular bones and ringbone. Not only that, he was also a roarer. The auction offered X-rays for examination prior to sale, but unfortunately, the X-rays offered didn’t include the views that showed the fractures and ringbone. Another horse purchased at one of the nation’s premier breed auctions, while perhaps technically sound, will require expensive maintenance to prevent the bone spurs in his hocks from causing lameness. Keep in mind that many folks send their horses to auctions after they have tried (and failed) to sell the horses themselves. The horses might have flunked prepurchase vet examinations, might have a problem that would make the seller hesitate to sell the horse to someone they know, or otherwise be hard for the seller to sell under normal circumstances. If you must consider buying a horse at auction, these tips can help protect you. Read the sale terms and conditions – what risks are you assuming? Sale terms and conditions vary dramatically from auction to auction. Most auctions sell horses on an “as is” basis and specifically disclaim all warranties. This means that you have almost no recourse against the consignor or auction. Other auction terms and conditions offer limited warranties, for example, that the horse has not been drugged and does not suffer from specific types of lameness or other specific conditions. Under these terms, you would have limited recourse against the consignor and the auction. For example, if the auction terms and conditions specifically warrant that the horse is not a roarer, and right after the auction you discover that he is in fact a roarer, you would have a claim against the auction and/or the consignor. If vet check results and X-rays are available, take the time to read them through prior to the auction. In general, auctions that make these documents available place the legal burden upon you to be aware of what the documents say. If you fail to read the documents before the auction and you buy a horse with a condition noted in the documents, you will likely have no recourse. Call your own vet with any questions you may have and if at all possible, have him or her review the vet check results and X-rays. If the auction will permit you to have your own vet examine the horse prior to the sale, by all means do that. Closely inspect the horse prior to the sale, noting any scars, leg puffiness or any other sign of potential problems. Most auction terms and conditions specify procedures you must follow if you want to rescind the sale. Typically, you must provide a certain type of notice within a specified time period, and if you do not do so, it significantly impacts your position. Before bidding, read through the dispute procedure and make sure that you think you would be able to comply with it if you were unhappy with your purchase. In particular, ask yourself if you would be able to obtain a veterinary opinion within the required time period. Be sure to save a copy of all advertising for the sale as well as the terms and conditions, and make notes of any conversations that you had with the auction and/or the consignor about the horse. If you are dissatisfied with an auction purchase, consult your attorney immediately and ask for their assistance in following the auction dispute procedure.